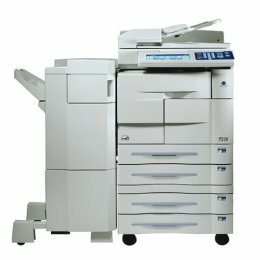 The Konica 7228 Copier can copy up to 28 ppm. The Konica Bizhub has two paper tray with a total paper capacity of 1000 sheets. The Konica-7228 has an auto duplexer, scanner and a 50 sheet document feeder.